Our guide to Phoenix will help you find the best kid friendly parks in Phoenix Arizona. The nickname 'Valley of the Sun,' is so appropriate -- the area gets more than 325 days of sun a year! And with gorgeous mountain vistas, an astounding choice of resorts, fabulous restaurants, and world-class golfing and spa options, it's no wonder Phoenix attracts vacationers from all over the country. There are tons of great kid friendly parks in the city of Phoenix, our city guide will help you find the best kid friendly parks. You may have a hard time deciding what to do in Phoenix, but we make your decision easy. 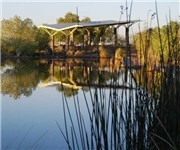 13647 N 50th St, (602) 262-4463 - Mountain Vista Park is a kid friendly park located in Phoenix AZ. 140 E Tonto St - Central Park offers families a playground, recreation center, restrooms, basketball courts, and open grass areas. 1433 S 9th St, (602) 262-6111 - Nuestro Park features lighted basketball courts, a playing field, playground, picnic area, splash pad play area, and restrooms. 1501 E Mohave St, (602) 261-8280 - Barrios Unidos Park is a kid friendly park located in Phoenix AZ. 1510 S 19th Dr, (602) 262-7539 - Coffelt-Lamoreaux Park offers families lighted basketball courts and softball field, a picnic area, playground, recreation center, and restrooms. 1602 W Pima St, (602) 262-6111 - Alkire Park offers families a playground, pool, lighted soccer field, ramadas, and picnic area. 19250 N 16th St - Buffalo Ridge Park offers families a playground, lighted softball field, and lighted basketball courts. 2021 W Alice Ave, (602) 262-6575 - Alicia Park offers families a playground and soccer field. 2352 E Christy Dr, (602) 262-6696 - Christy Cove Park offers families basketball and volleyball courts, a picnic area, and a playground. 2944 W Hearn Rd, (602) 262-6575 - Acacia Park offers families a playground, grills, and picnic area. 3220 W Banff Ln, (602) 262-6575 - Country Gables Park offers families lighted basketball courts, a picnic area, playground, and soccer field. 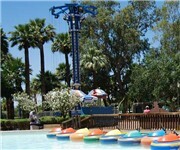 3402 N 56th St, (602) 256-3220 - Arcadia Park is a kid friendly park located in Phoenix AZ. 1726 E Adams St, (602) 262-6744 - SP Osborn Recreation Center is a kid friendly recreation located in Phoenix AZ. 4040 N 14th St - The Longview Neighborhood Recreation Center's 13,000 square-foot, multi-generational facility offers a variety of programs for the entire family. 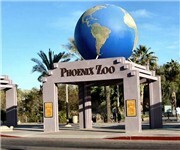 455 N Galvin Pkwy, (602) 273-1341 - The Phoenix Zoo is a young, privately-owned zoological park thriving on 125 acres in the heart of the Southwest. 5802 E Indian School Rd, (602) 256-3220 - The G.R. 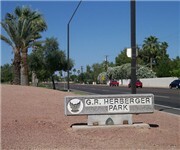 Herberger Park offers a playing field, tennis courts, and a lighted sand volleyball court. There are plenty more kid friendly parks in Phoenix. See all kid friendly parks in Phoenix Arizona.